Prime Minister Scott Morrison’s announcements of a possible move of our embassy in Israel from Tel Aviv to Jerusalem and of a review of our support for the Iran nuclear deal threaten seriously to prejudice the Australian national interest. The status of Jerusalem has been central to the Arab–Israeli dispute for more than half a century. Israel has been denied international recognition of Jerusalem as the capital of the Jewish state, particularly because that would presuppose the outcome of a negotiation between Israelis and Palestinians of a comprehensive two-state solution to the dispute. Successive American administrations had supported this policy on a bipartisan basis—as have all our friends in NATO, with whom we have been associated in both Iraq and Afghanistan. President Donald Trump’s decision to open a US embassy in Jerusalem was a radical shift in the United States’ historical position. The decision predictably drew strong criticism from Islamic states and the nonaligned world. More tellingly, it prompted adverse reactions from European states historically well versed in the intricacies of the Arab–Israeli dispute. Following the American announcement in December 2017, Australia’s then foreign minister, Julie Bishop, did not deviate from existing Australian policy, noting that matters relating to Jerusalem were ‘subject to final status negotiations between Israel and the Palestinian Authority’ and that Australia would continue its diplomatic representation to Israel from Tel Aviv and its representation to the Palestinian Authority from Ramallah in the West Bank. So why change now? The stated rationale was that we were going to vote ‘no’, presumably along with President Trump, Guatemala and a Micronesian state or two, on a UN vote which would support the Palestinian Authority as the chair of the developing countries’ caucus group, the Group of 77. That is arrant nonsense. We have voted ‘no’ on a plethora of Middle Eastern questions before without shifting our embassy to Jerusalem. As all our newspapers have made clear, the real answer is that the announcement was a telling example of the aphorism of the late Speaker of the US House of Representatives, Tip O’Neill, that ‘all politics is local’. First, the Arab–Israeli question is not central to our foreign policy focus and international opinion is firmly against the position we envisage. It is bound to bring us into global disrespect. To some that may not matter, but one would hope that to those in government our international reputation would count. It will prompt a more specific reaction from the Arab world. It is too soon to know what form that reaction will take, but there will be a reaction. In our own region, both Pakistan and Bangladesh are Islamic states and will feel forced to take positions. But most important for us will the reaction in Malaysia and Indonesia, both because our bilateral dealings will be affected and because their views affect regional attitudes towards us. Following the Trump decision there were widespread and lengthy demonstrations in both these countries and it would be surprising if our decision didn’t resonate as badly. The timing is particularly unfortunate in relation to Indonesia. Just for a start, the foreign minister of the Palestinian Authority is currently on a five-day visit to Jakarta. Israel has denied both the current Indonesian foreign minister, Retno Marsudi, and her predecessor, Marty Natalagawa, entry to Ramallah unless they also visited Jerusalem. They didn’t do it. Perhaps most significant, Indonesia is gearing up for next year’s presidential and parliamentary elections. Islamic issues already loom large in electoral rhetoric. 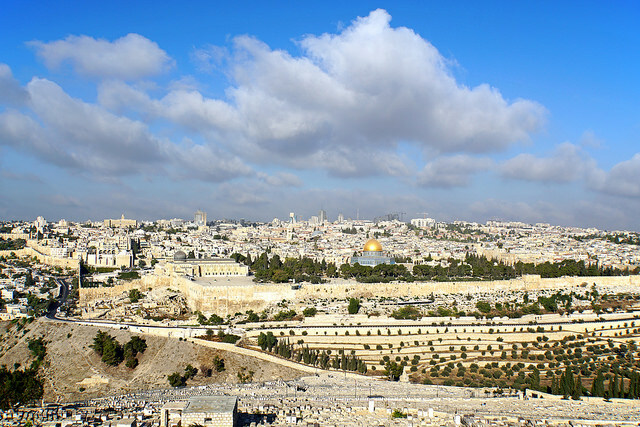 It would be a matter of extreme regret if the success of Prime Minister Morrison’s early visit to Jakarta were to be upended by our position on Jerusalem. President Joko Widodo is a friend of Australia and has pushed a free-trade deal with us, which could now be jeopardised. We cooperate on counterterrorism and have a serious dialogue on regional security that assumes added importance with the rise of China. Since the blasphemy conviction of the former governor of Jakarta, Basuki ‘Ahok’ Tjahaja Purnama, Widodo has been vulnerable to charges that he is insufficiently sensitive to Islamic aspirations. He may be forced into taking positions regarding Australia that he would prefer to avoid. The Iran issue will receive less attention, but the decision to conduct a policy review is also a serious mistake. We are buying into it to please Trump and the Israelis. While imperfect, the nuclear deal was regarded by President Barack Obama, our main NATO allies and Japan as holding the best hope for a non-nuclear Iran. While not party to the deal, we supported it. We have always taken nuclear nonproliferation seriously. It is a pity that we seem no longer to do so. Morrison still has time to wind back on policies which, put simply, are bad for Australia. Let us hope he takes the national interest seriously enough to do so. Editors’ note: This post is part of an ongoing debate on The Strategist about the status of Jerusalem. The Strategist plans to publish other views on Prime Minister Scott Morrison’s announcement that the government is considering moving Australia’s embassy in Israel from Tel Aviv to Jerusalem. John McCarthy has served as Australian ambassador to seven countries, including the US, Indonesia, Japan and India. Image courtesy of Dennis Jarvis on Flickr.